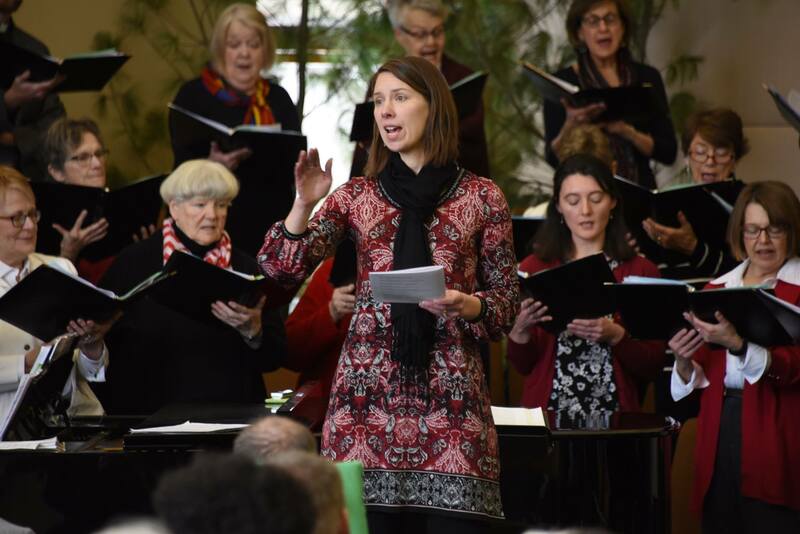 Each week, MCC sends an email newsletter with details about worship; congregational events, activities and opportunities; information about happenings in the community and wider church; and more. You can subscribe to this free e-letter! Click here. Supper and conversation at 5:30 p.m.
Worship with chimes at 7:00 p.m.
Worship at Noon and 7:00 p.m. Early service at 7:00 a.m. Individual worship services at 10:15 a.m.
Did you know the Gospel of Luke is To Be Continued…? And Part 2 is the book of Acts. With the Narrative Lectionary, we’ve been hearing the story of Jesus from Luke from Christmas through Easter. During the Easter season, we’ll hear Acts’ version of what comes next. If you’d like a Bible study run-through of the book of Acts, join Pastor Nick Thursday evenings (any or all) April 25, May 9 & 23, and June 6, 6:30-7:45. Earth Day this year falls on Monday, April 22. An MCC tradition is to clean up our church grounds on or around Earth Day. Since Easter is the day before, we did not think members wanted to rake leaves or pick up sticks in their Easter bonnets. The MCC Land Use Group invites you to help with projects on the property on Sunday, April 28, after worship. Bring gloves, proper footwear AND your appetite as a light lunch will be served after. There are 4 full tilled garden plots (20 ft. x 20 ft.) and 1 no-tilled half plot available in the lower gardens. The fee for a full plot for an MCC member is $20.00; $40.00 for a non member. The cost is $10.00 for a half plot for a member and $20.00 for a non member. A full plot can be divided if one wishes to have a half plot. Garden tools are provided, however, you will need to provide your own fence and stakes. Please share this with friends who are looking for a community garden experience. Contact Jean Einerson, einerward@tds.net, if you have questions or want to registration materials. Those of you at the annual meetings learned that we have a new MCC directory available! There are some hard copies available in the Shalom Room for those who prefer that. Please contact Kaisa at kaisa@themcc.net if you need one mailed directly. Click here for a link to the electronic version. PLEASE NOTE: we found the first error in the printed version - the last page was left off! There will be print outs of the last page made available in the Shalom Room for you to take home and add to your version. Or you can click here for a link to the last page and print it out at home. Would you like to set a goal of reading through the whole Bible this year (or even having a nudge to read some more) and understand the fuller narrative of God’s story in scripture? Pastor Nick again has available copies of his reading guide, with a format mixing Old and New Testament readings of about three chapters per day. You can pick up a booklet at church on Sunday or find the electronic version here. We’ve have a limited supply of "Trouble I’ve Seen". These are available for purchase at the Welcome Center for $10 each. Big Read 2.0! Contact Tina (tina1@tds.net) or Lisa (delius71@gmail.com) if you’re interested in the ongoing Big Read group they are facilitating. We are forming a Racial Justice task force (name to be determined) to help harness the Big Read energy. If you are interested in joining, let one of the pastors know. MCC member Don Falkos has been working on a new Bible storytelling project to offer Bible stories in two minute episodes. 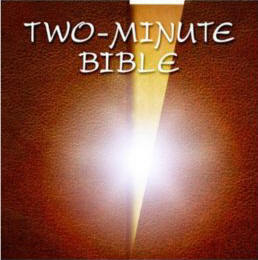 That’s why it’s called “Two Minute Bible” and is found at http://twominutebible.com. Two new stories are posted each week. Augsburg Fortress sends a devotional message and selection of artwork based on a Bible reading. Interested, click here to sign up. Fellowship groups, Bible study groups prayer groups and shared interest groups are all found on our Faith Formations & Affinity Groups page. Click here. If you’re interested in reading through the Bible next year, new guidebooks can be found on the back table in either sanctuary or can be downloaded by clicking here. If you are a ringer for a bowling team, softball team or any team for that matter, THE CHIME CHOIR WANTS YOU!! The Chime Choir rehearses the last 2 Wednesday evenings of the month from 6:00 – 7:00 PM in the Blessing Room. The choir plays the first Sunday of the month from October-June and for the Epiphany choral concert. Chimes are easy to play, so all are welcome. This includes Junior and Senior High “ringers.” Be a “ringer” for the MCC music team to bring beautiful music to the worship service. If you have questions about the chime choir, please contact Jean Einerson at einerward@tds.net. Coffee can be purchased in 12 oz. ($10) or 4 lb. ($45) bags; regular or decaf; bean, drip or perk. Make your checks payable to Mt. Meru Coffee Project and place them in the envelope by the sign-up sheet in the Shalom Room on the Coffee Table. Your support remains the sustaining force in the lives of many coffee-farming families in Tanzania. Thanks for your continued support. If you are interested in being involved with the leadership of Adult programming, contact a pastor. If you are interested in being involved with children or youth education, please contact Jen Streit or sign up on the MSP Online Scheduler. Click here for more information. April 28 – Confirmation students present on their Lent projects. Extended Education Hour for All! The way the public school schedule aligns with Memorial Day this year allows us to try more Sundays of Faith Formation for all ages! Summer worship schedule will begin on June 16: 9:30am Worship. We know that traditions are hard to break, so we hope you’ll help spread the word and the excitement! Our church library is expanding and getting easier! Visit the more peruse-able shelves BOTH downstairs and now upstairs. If you'd like to take a book or other resource, just jot your name on the clipboard. More to come! The speaker is Laurie Elwell, a Master Naturalist. 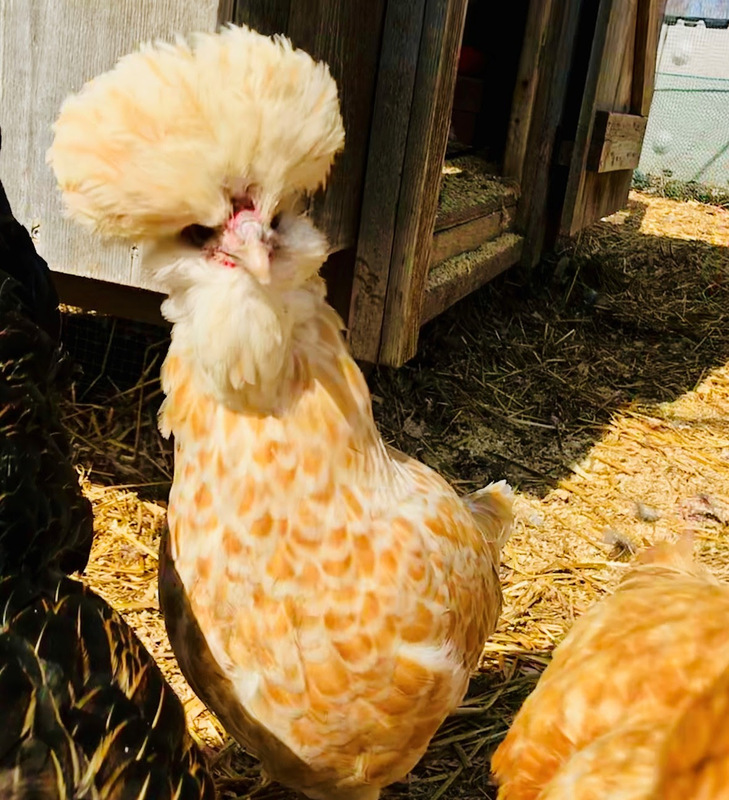 Laurie will talk about small steps we can all take (for instance, in lawn and garden practices) to benefit Wisconsin waterways. Her talk is entitled “What Can You Do? Pick a Few.” Mark your calendar! Find out what's going on in Sunday School and Youth & Family Ministry! Click here. All are welcome to attend Adult Discussion (formerly “Parent Hour”) the third Sunday of the month in the downstairs area. Anyone with interest in sharing the challenges and occasional triumphs of parenting is invited—the group is accepting, and always has a robust discussion. Anyone with a commitment to our youth, regardless of parental status, is encouraged to join us! If there are people who can only sing on one of those dates, I will structure rehearsals accordingly. Click here to share your intended rehearsal attendance. Good Friday, April 19 6:15pm; Sing during 7pm worship. Boundary Waters 2019: Are You Interested? High schoolers! Think summer, but don’t think bugs. Now answer the question: are you (and any friend you’d like to bring) interested in the canoe trip June 17-23? We’re trying to lock down numbers to know how many groups to plan on so we can order our entry permits. Cost is $100, but for the meantime all we need to know is “yes – no – maybe.” Contact Pastor Nick at nick@theMCC.netor Marily Crews, Karen Kuhn, Jill McLeod, or Dean Ryerson with questions or responses. Thanks! A Big Read on a Big Scale! Matthew Desmond, author of the book Evicted, will be our General Synod Keynote Speaker on Saturday, June 22, and the whole UCC is invited to participate in an all-church read of the book. Community of Hope folks who would like to participate, contact Pastor Sonja. ELCA Advocacy goals and tasks for engaging government this year. Read about this work for housing and homelessness, child nutrition, criminal justice reform, caring for creation, foreign assistance, and more, visit this blog post. The Creation Care Team is hosting a series of webinars to encourage engagement across congregations related to creation care (May 2 at 7 pm, and an Aug date to be determined). These are free and open to all, but pre-registration is requested through this link. Community of Hope, we encourage all of our members to keep up with the goings on of the closer-in wider church by subscribing to the e-newsletter for our Southwest Wisconsin Association. Click here to send an email to sign up. Lay Academy is a ministry of transformation and faith formation offered by the Wisconsin Conference of the United Church of Christ. Participants dive into scripture, explore theology, consider God’s presence in their lives and discover fresh ways to speak about and live out their faith in their day-to-day lives. Classes are held throughout the year. For more detailed information, go to www.wcucc.org/layacademy or talk to Pastor Sonja. Help the Wider Church Shine! “Shine!” is the theme of the UCC General Synod, coming up June 21-25, 2019, in Milwaukee. This is the first time this biennial gathering of the wider church has been held in the Wisconsin Synod. 300-400 volunteers will be needed to assist at the event, and you are invited to be part of that volunteer team! Helpers are needed from everything from hospitality to childcare to ushering, to the Sunday outdoor festival. Find out more information here. General Synod volunteer opportunitieshere. Day-to-day, you might not see our connection to the UCC Wisconsin Conference. But it’s there! Recently, from grant money and publicity for our Big Read to a subsidized clergy retreat in Nov which Pastor Sonja will attend to our Associate Conference Minister Rev. Joanne Thomson joining us for the 50th Anniversary of Community of Hope celebration, the Conference supports our ministry. We would not be who we are without them, all year long! You are encouraged to consider making a contribution to the Wisconsin Conference Annual Appeal. Here’s how. Travel with Pastor Nick to the Holy Land for eleven days this November! Brochures are now available at church listing itinerary and details, or you can view the tour description (and share with friends!) at gtd.org/post/pdfbrochure/191108.pdf and register for the trip online using this link or by sending a down payment through the address on the brochure. An initial deadline to register is set for May. Let Nick know if you're thinking about it! Thank you to those who purchased Palestinian crafted jewelry on sale last week. We raised over $300 to send to Ali Jaber in Ramallah. As Kathy Henning and Regi Dunst announced in Advent worship, Ali has made it his life’s mission to support Palestinians who otherwise have little opportunity for income under the Israeli occupation. He takes out loans to purchase their products and offers them to us on consignment. Those who travel in November will have the chance to meet Ali and his family in his home, as well as to join the olive harvest for the oil that was on sale Sunday. In the Wider Church . . . Lunch & Learn: The History and Human Cost of Mass Incarceration April 17, 11:30-1:30 at Bethel Lutheran Church, 312 Wisconsin Ave. Sponsored by MOSES, the program will take a look back to understand how our nation developed the largest incarceration machine in modern history. Guest speaker will be Reggie Jackson, a trainer with Nurturing Diversity Partners and currently head griot at the African American Holocaust Museum. $30, includes lunch. Register here. Wisconsin Conference Anti-Racism Training and Retreat; 4/28/2019 3:00 PM - 4/30/2019 11:00 AM, Moon Beach Camp. Whether this is your first step or a continuation of your journey, this workshop will meet you where you are to help you get closer to being an anti-racist, pro-reconciling leader for your church and community. The training will be presented by Jessica Vazquez-Torres of Crossroads Anti-Racism Organizing and Training. More information here. April 26-28, Moon Beach Camp, for ages 18 and up. This will be a time of sharing, reflecting, growing, and celebrating for those who have experienced sexual abuse of any kind. The weekend will include group time, quiet time, crafts, food, music, and of course, time to enjoy the beauty and sacredness of Moon Beach Camp. The retreat will be facilitated by women who have experienced this abuse. Professional counselors, clergy and/or chaplain will also be available. Cost: $230. Registration and information, click here. Classes from our Lutheran synod on a variety of intensive faith topics. Information and registration at the Diakonia website. Synod scholarships are available for those needing tuition assistance. You can also contact Linda Wulff at 920-210-2675 or by by e-mail at scswdiakonia@gmail.com. We look forward to hearing from prospective students! Sponsored by Wisconsin Faith Voices for Justice’s Interfaith Community Building offering through 2019. Visits to a variety of houses of worship/faith communities to learn about the main teachings of their faith. Participants will also gather in small groups (cohorts) to share a meal, discuss what was learned in the visit. For additional information and to sign up, click here. Copyright © 2013 Madison Christian Community, All rights reserved.Copyright © 2013 Madison Christian Community, All rights reserved.